Our contest is officially over! 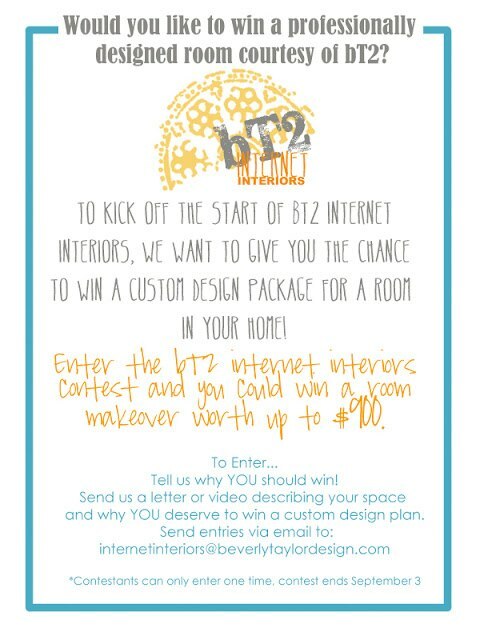 Thank you to everyone who entered the bT2 Internet Interiors contest! We’ve received so many great entries! Check back with us throughout this week because we will be announcing the winner by FRIDAY! We can’t wait to see who wins this CUSTOM design plan for a room in their home!